MTV Roadies is coming back with another brand season "Roadies Xtreme". First Episode of MTV Roadies Xtreme was telecast on 18th February 2018 and today Roadies Xtreme Episode 4 is going to be telecast. Let's know more about Episode 3 of MTV Roadies Xtreme. 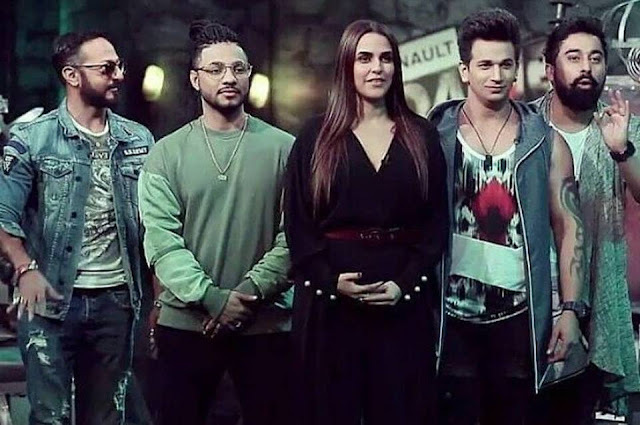 In the last episode of roadies Xtreme, we have seen audition of Chandigarh city where two contestants named Rashmeet kaur and Shubhada select for next round. We really enjoyed last episode of roadies. Definitely we'll see more xtreme contestants in an upcoming episode. In the today's episode we'll second round of Chandigarh audition. During auditions, three contestants are selected for next round. In the audition, we have see first contestant named surbhi Rana who is impressed to all judges by her funny acts. After the second contestant named Mehakdeep singh who is winner of Mr.Punjab 2017 titled. He impressed to all judges by his fitness and selected for the next round. If you want to watch Full episode 4 of MTv Roadies Xtreme then you can watch on official website of MTV India Channel. You can also watch on Voot App We'll update MTV Roadies Xtreme Full episode 3 very soon. Thanks for visiting us. Please share and like this post on your social media Timeline. Stay Tuned.